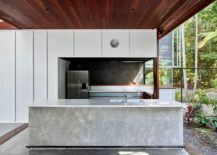 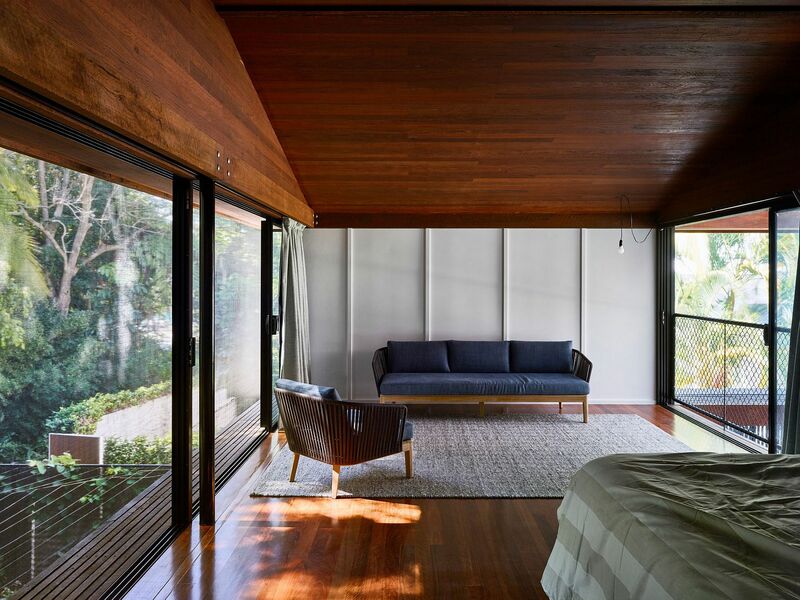 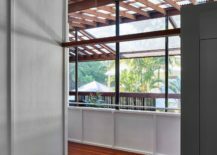 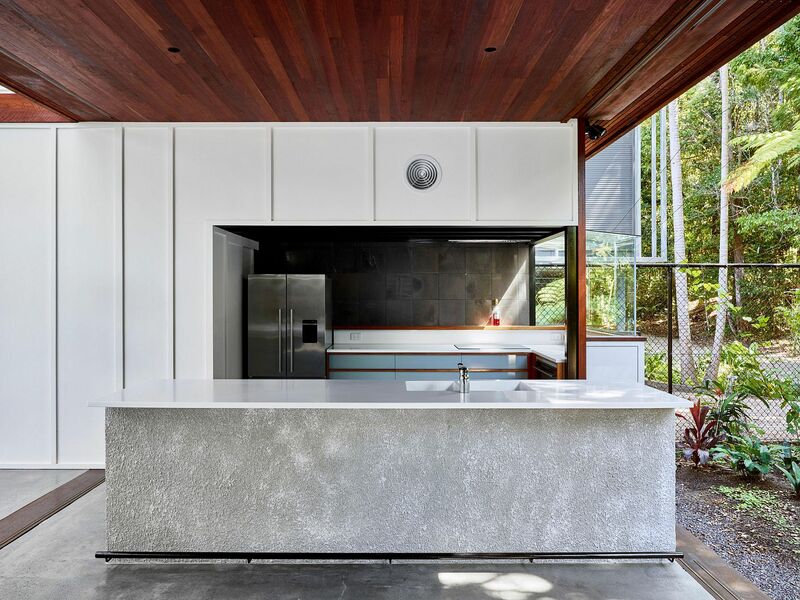 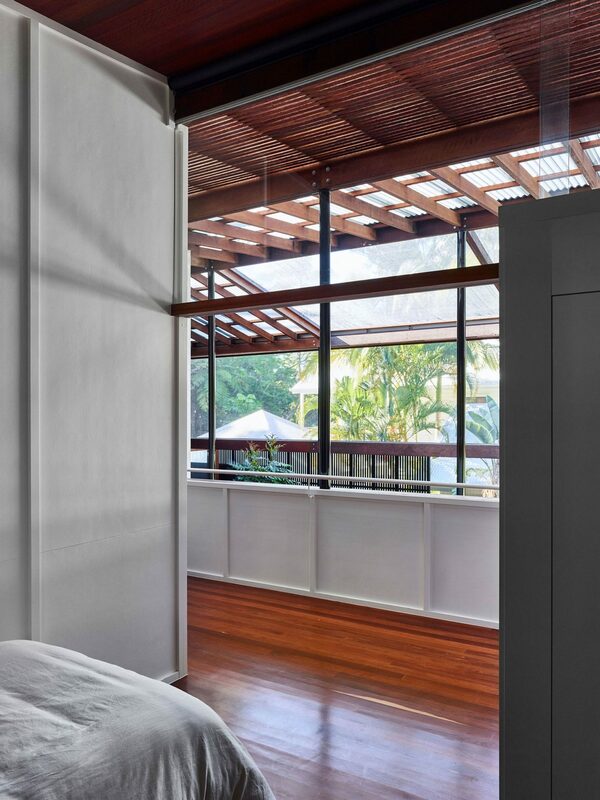 Set on the idyllic Sunshine Coast of Queensland and on the edge of the protected Noosa National Park, the Mitti Street House is a place where the landscape becomes the most defining feature of the interior. 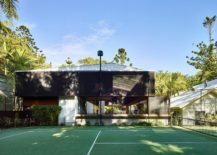 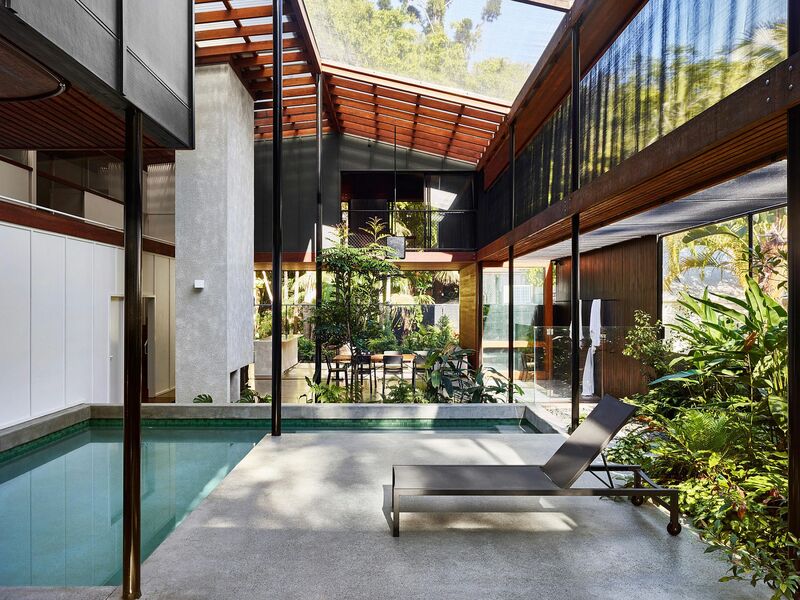 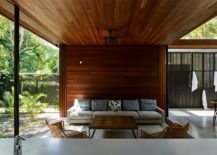 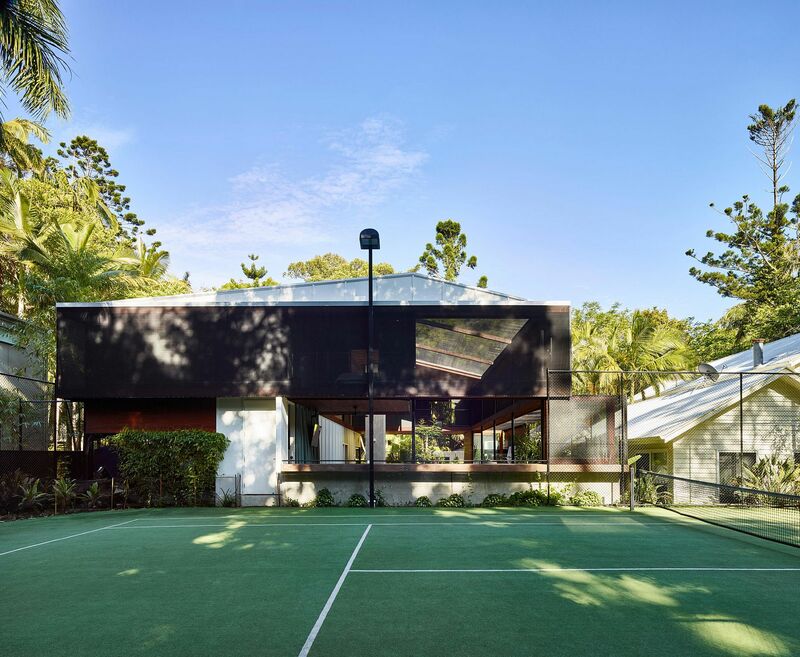 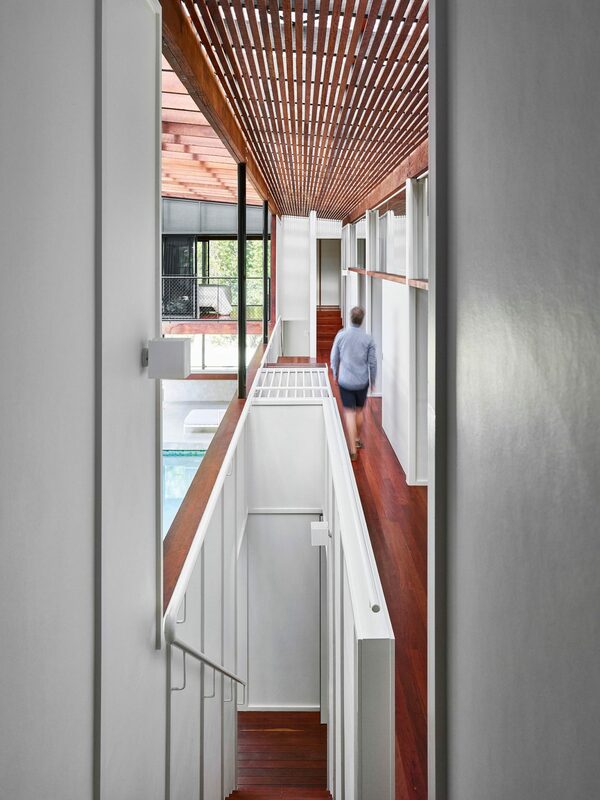 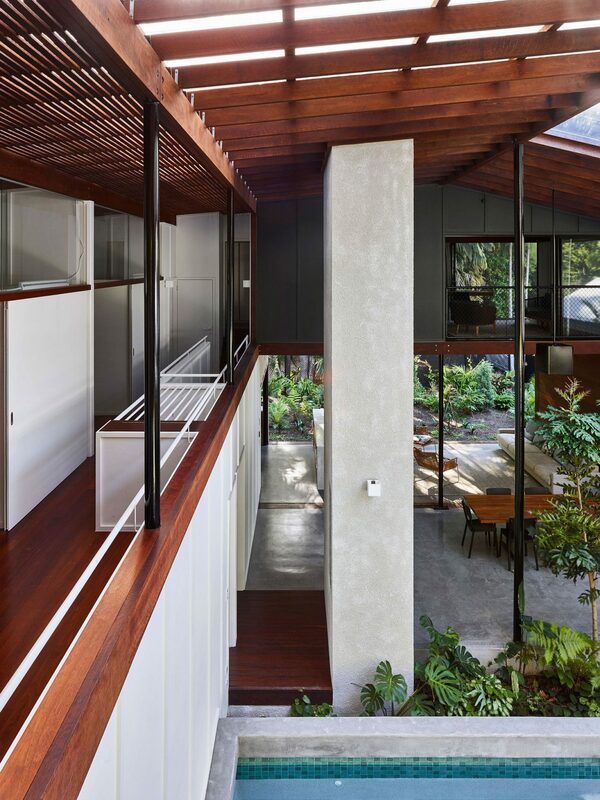 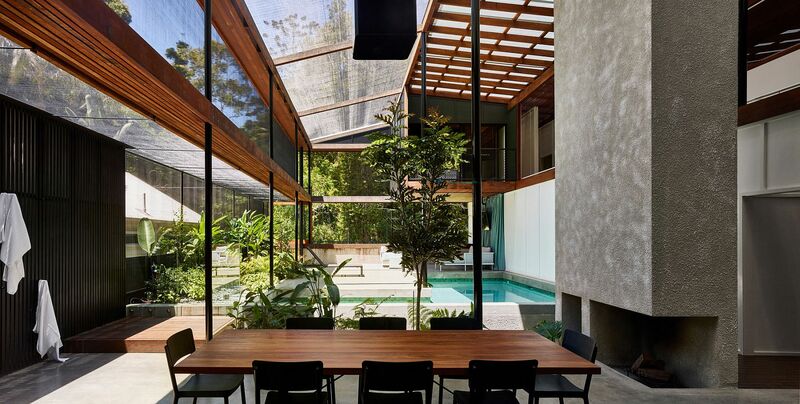 Designed by James Russell Architect, the house is more like a series of vast pavilions, expansive verandas and lovely courtyards that are carefully covered and protected using a large shade cloth. 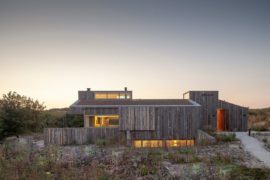 The design of this exquisite holiday home moves away from unnecessary excesses and relies on simplicity of form, frugality of material and durability crafted to withstand harsh local weather. 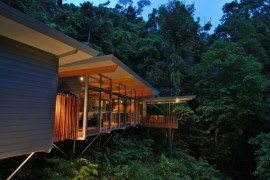 At its heart, this is simply a large, protected veranda that is surrounded by a rainforest! 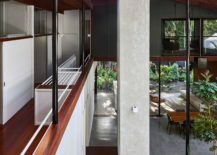 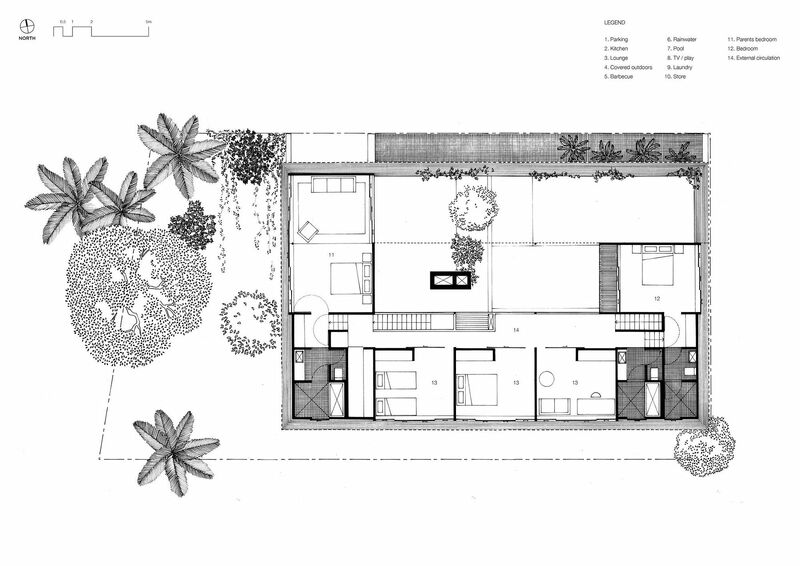 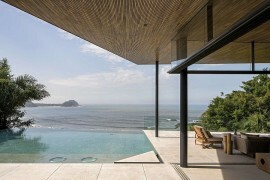 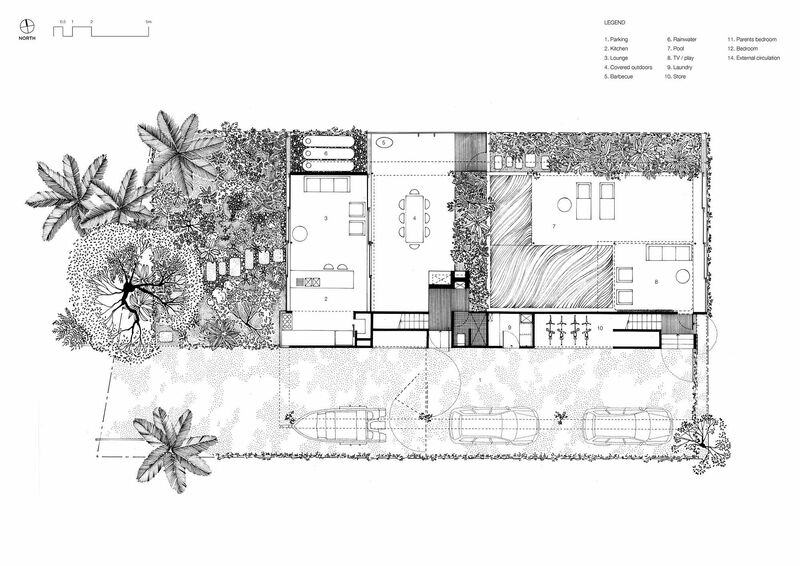 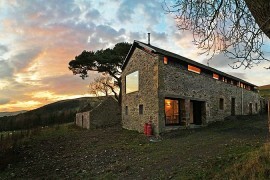 The large house was designed keeping in mind the specific needs of its owners. 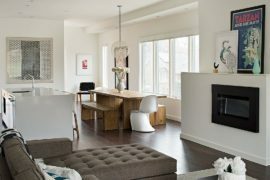 With multiple bedrooms, open gathering spaces and delightful social zones, this is a place where friends and family can come together with ease. 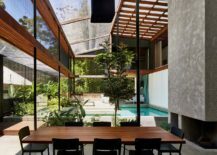 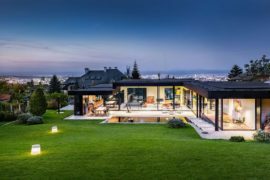 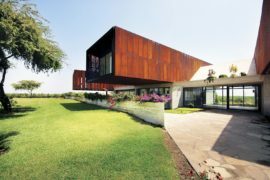 The lush green forest around the residence is left largely untouched and a sensitive approach to building the house ensured that damage of construction was as minimal as possible. 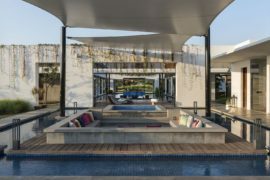 On the lower level one finds the open living area, shaded dining space, a collection of courtyards, a kitchen with concrete island and contemporary cabinets, a TV room, play area and refreshing pool.